Metropolis turns ten! They are celebrating by showcasing new packaging. 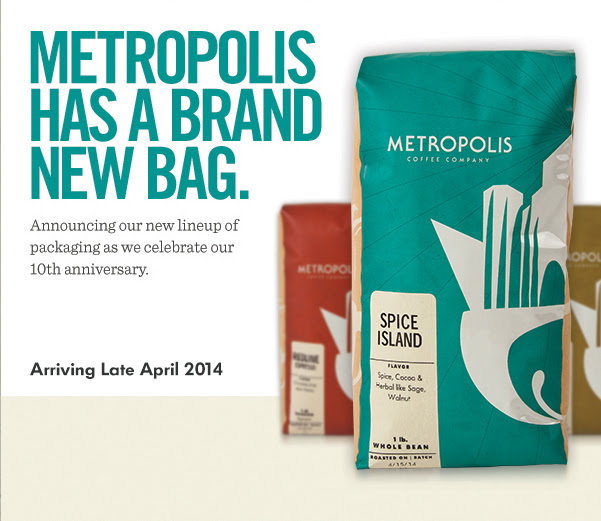 We are celebrating by giving you 10% off your entire order of Metropolis Coffee. The Chicago roaster makes a great cup of joe and was even voted Best Cup of Coffee in Chicago! Read the entire bio here and pick up a bag today.